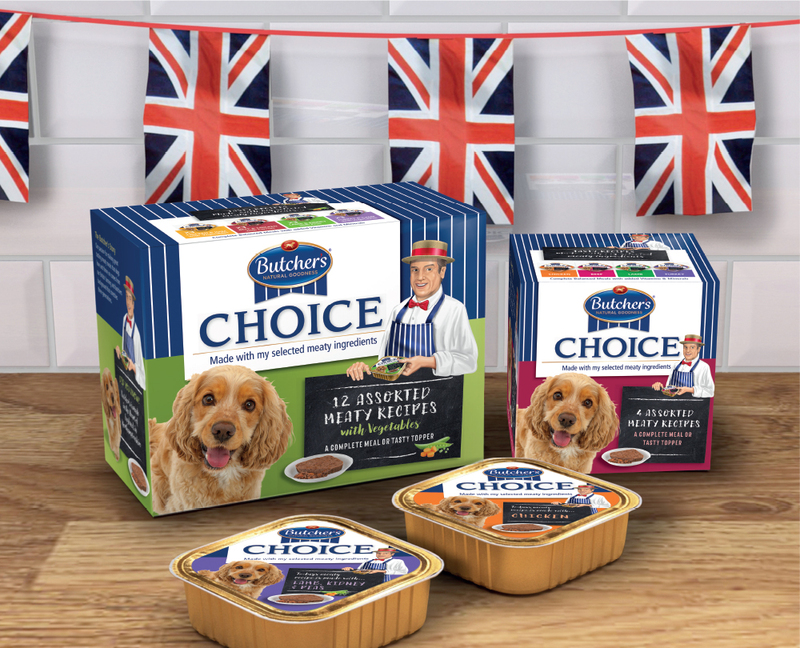 Butcher’s Pet Care recently asked us to redesign their Butcher’s Choice range of doggy dinners. The range lacked impact on shelf and consumers were failing to understand its premium positioning. So, our key objectives were to communicate the ‘choice’ high quality ingredients and grab consumers’ attention in the busy, crowded category. First we bought back The Butcher making him the hero – proudly endorsing the product with his ‘Selected Meaty Ingredients’ message. Butcher’s shop cues including the stripes and chalkboard device help bring butchers shop values to the pack, reinforcing the key benefit of the high quality meaty ingredients. 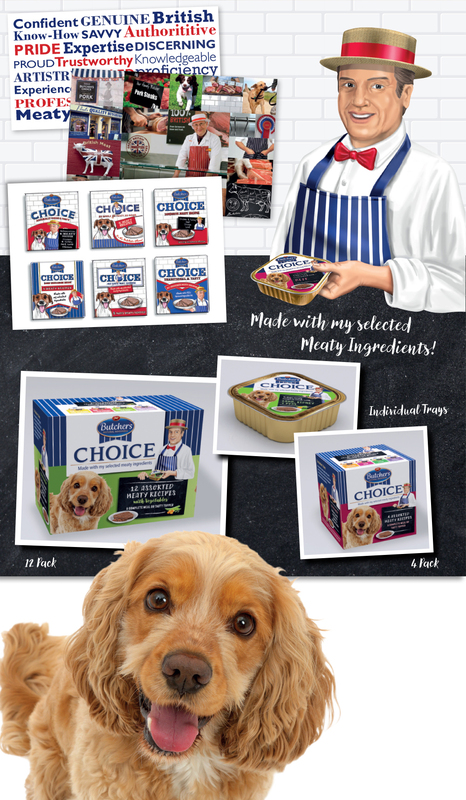 The alert, appealing dog engages consumers at fixture and personifies the ‘natural meaty goodness’ of Butcher’s Choice.